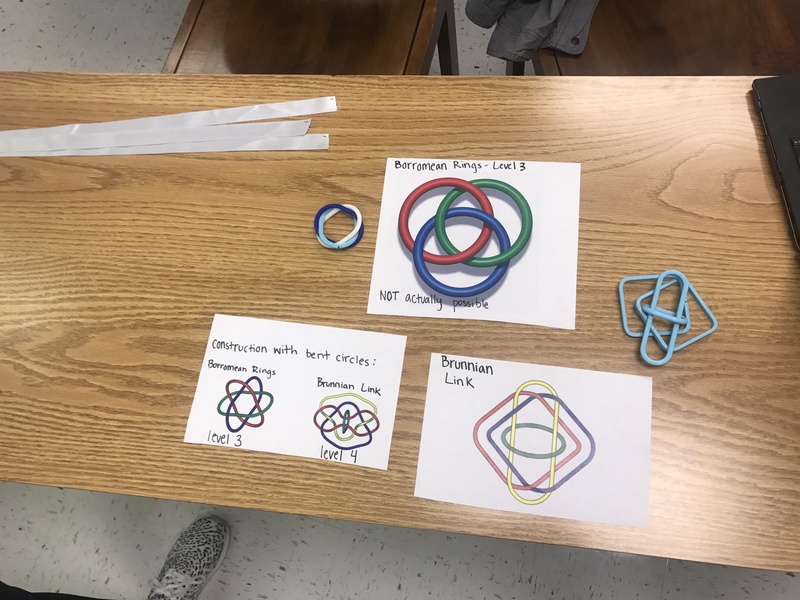 For the final showcase, Isabelle and I got the chance to show everyone our Borromean Rings project. To explain our project, we used pictures to show our initial ideas and models for our designs. We also had an interactive display using our detachable print and using a demonstration of a braid. 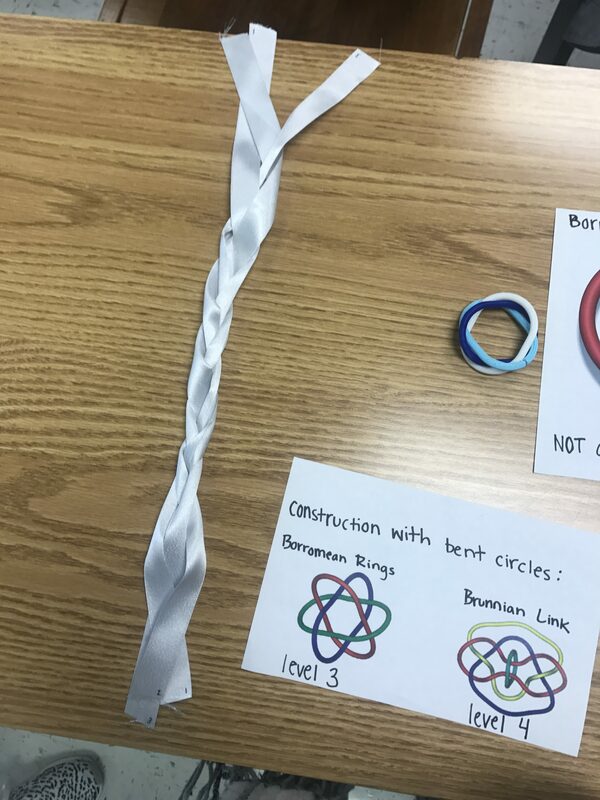 We would braid the three pieces of ribbon and then pull one out to show that the remaining two pieces would detach. This visual really helped us to explain some of the unique features of our rings. We loved walking around and seeing everyone else’s projects! 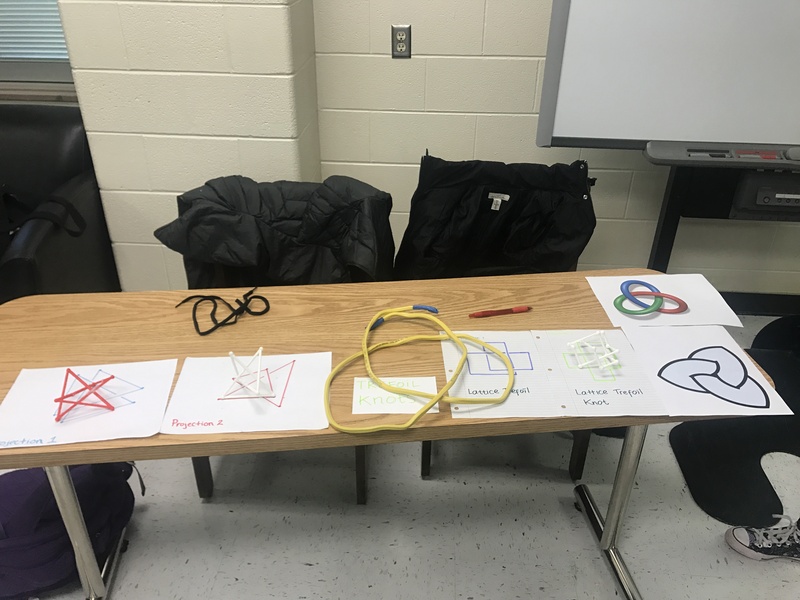 We really liked how the Trefoil Knots project had so many different ways to display their project and show how the knots work. It was cool to see another project that came from the same chapter of the book as ours.